The following photos are taken from old article of Mr. Heilman's from the mid 1980's. 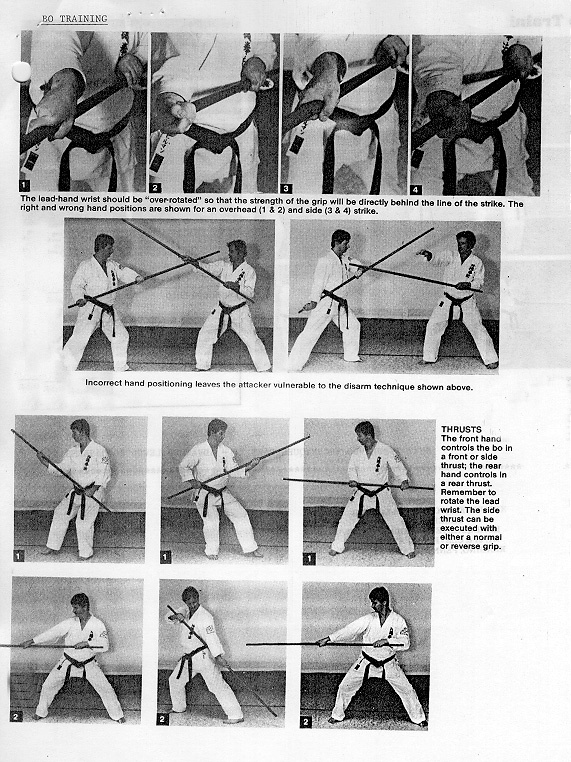 The article was published in both the States, and Italy and dates back from Mr. Heilman's "kyoshi" days. 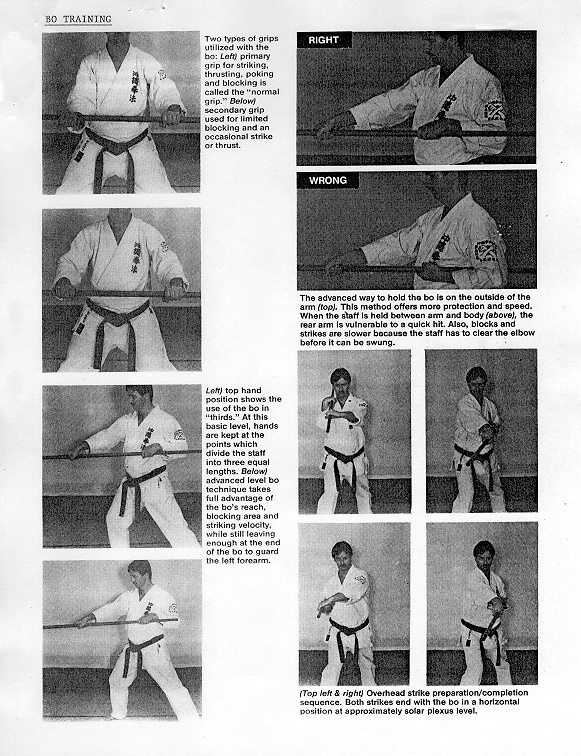 This segment of photos introduces the reader to basic bo grips, hand positions and strikes with the bo. The photos above take one through the correct "over-rotated" wrist positions and introduce the practitioner to various thrusts with the bo. 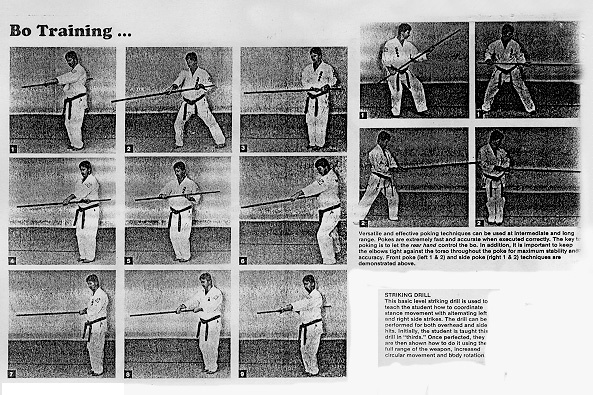 These last set of photos present basic pokes and a basic striking drill.